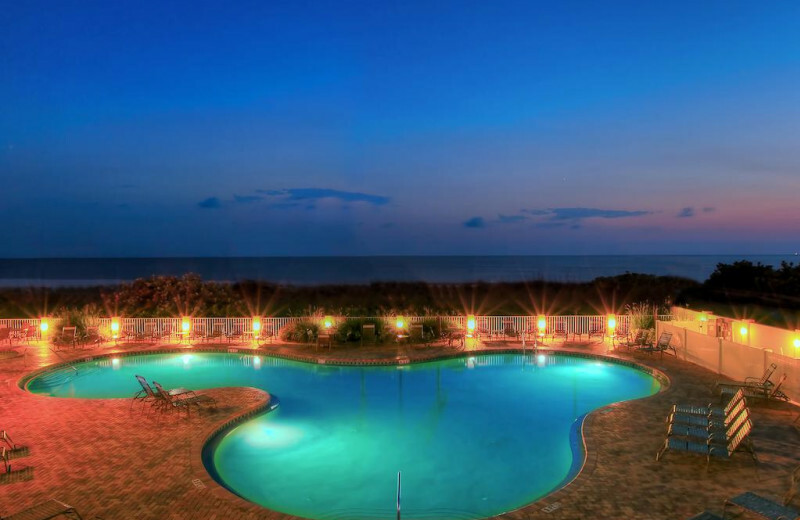 Sunset Vistas Oceanfront Suites is a spectacular "all-suite" beachfront resort on Treasure Island. 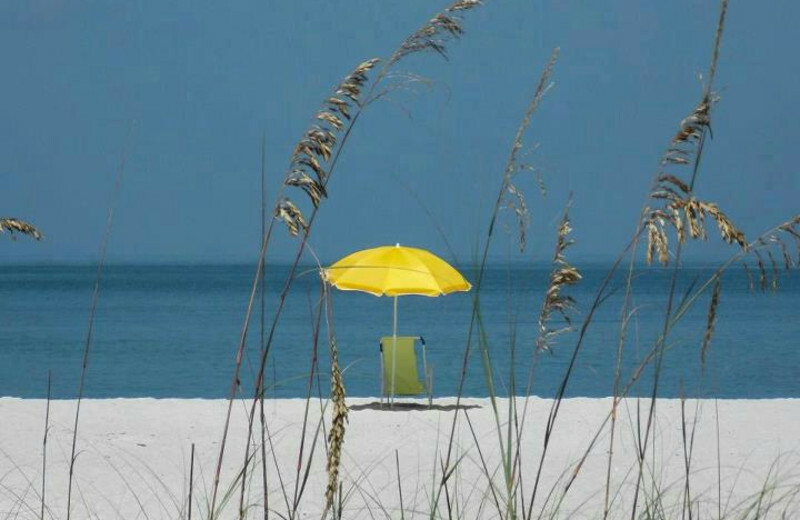 Located in the heart of the St. Petersburg-Clearwater beach communities, you'll find the finest in warm Florida sun, white powder sands, and stunning sunsets. 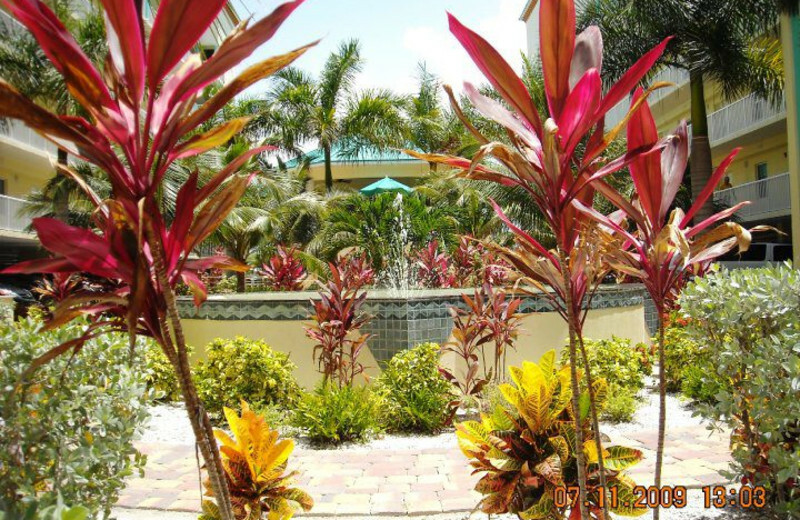 On the grounds you can soak in the pools and whirlpool spas, revitalize in the fitness center, or relax by the fountains in the tropical courtyard. Every suite features two bedrooms, fully-furnished kitchens, washer/dryer and private balconies. Here, you'll be able to explore some of the world's most celebrated beaches, or you can head nearby for plenty of golf, tennis, fishing and shopping! Plus world-class museums and the famous Busch Gardens are just minutes away! 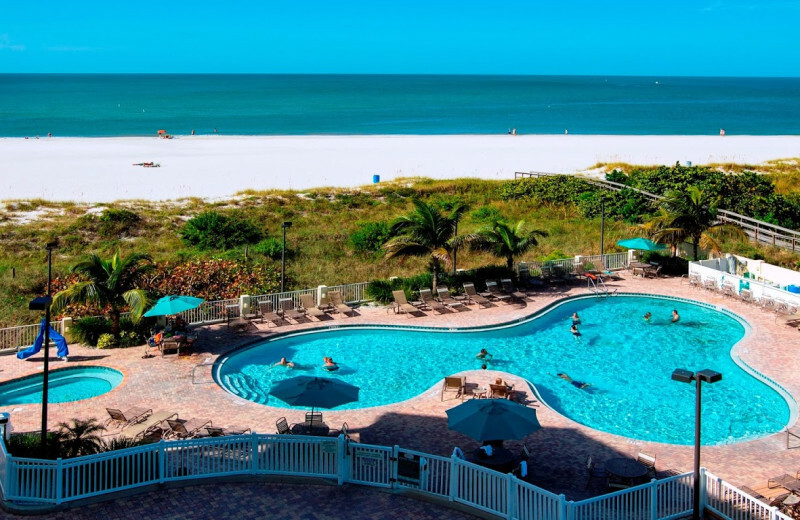 Located in the heart of the St. Petersburg-Clearwater beach communities, Treasure Island is known for its pristine white sand beaches and easy access to a bevy of amazing activities on the water. 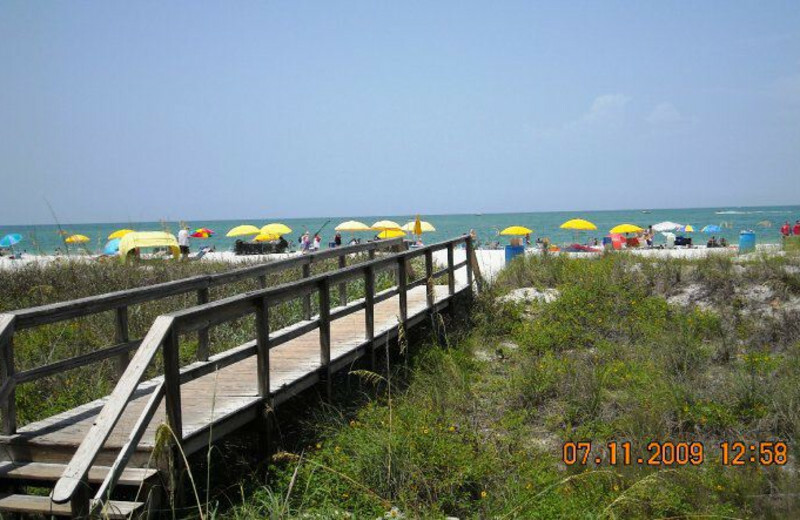 You'll have easy access to these sandy shores, sitting just a short stroll from your all-suite accommodations. 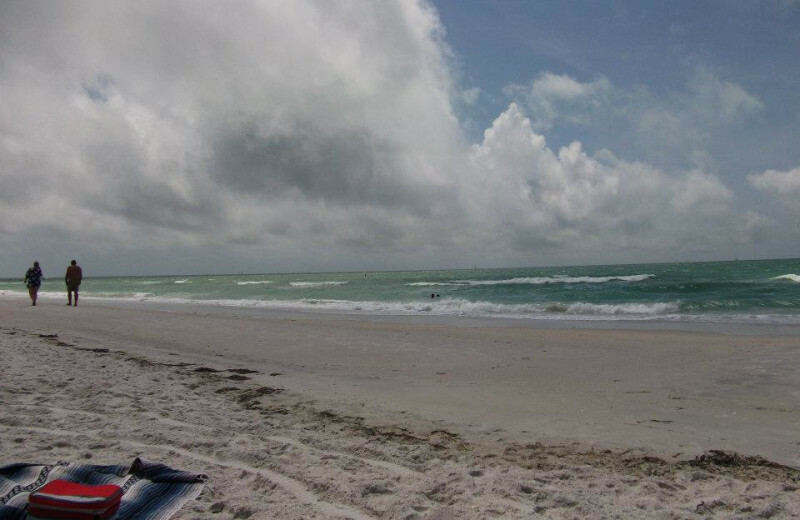 Spend a day soaking up the sun's powerful rays, or take a swim in the warm gulf waters! 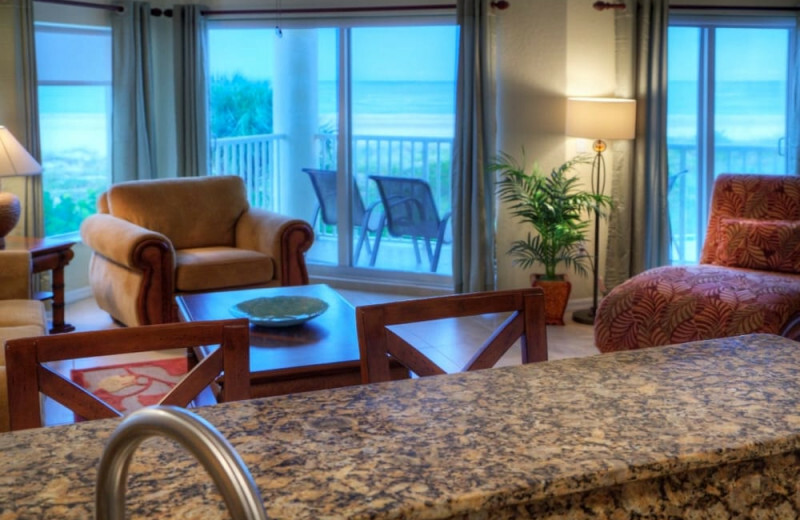 Treat your family to the perfect beachfront getaway on Treasure Island at Sunset Vistas! Here, your group will be just steps away from some of the most beautiful sand beaches in the country. 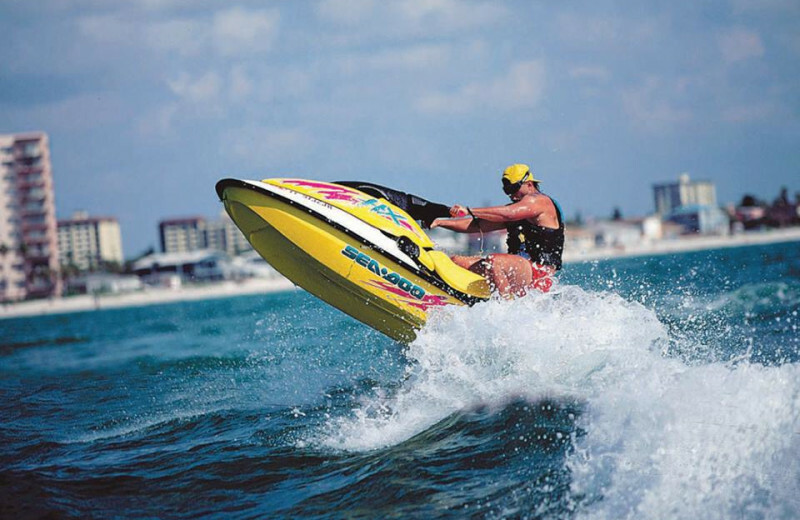 Enjoy great water activities on the Gulf of Mexico including boating, canoeing and kayaking. Try something different and reserve your spot on a dolphin watching excursion! 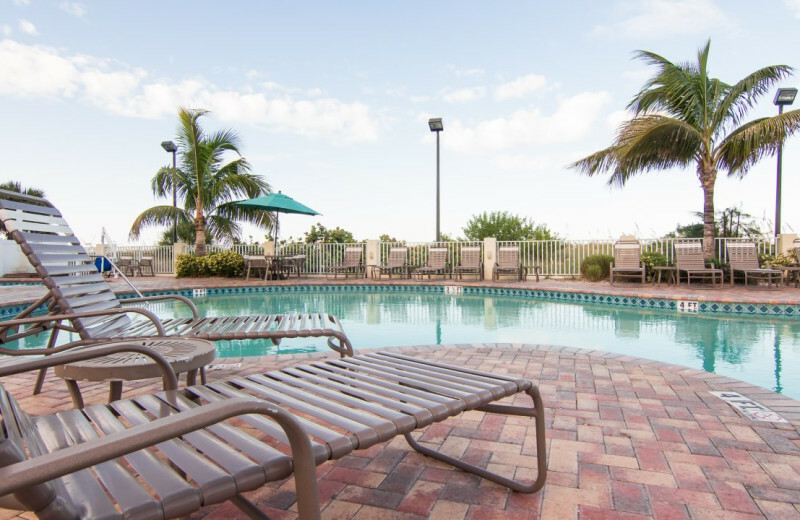 Stay onsite and enjoy the heated outdoor swimming pool! The famous Busch Gardens is just minutes away! 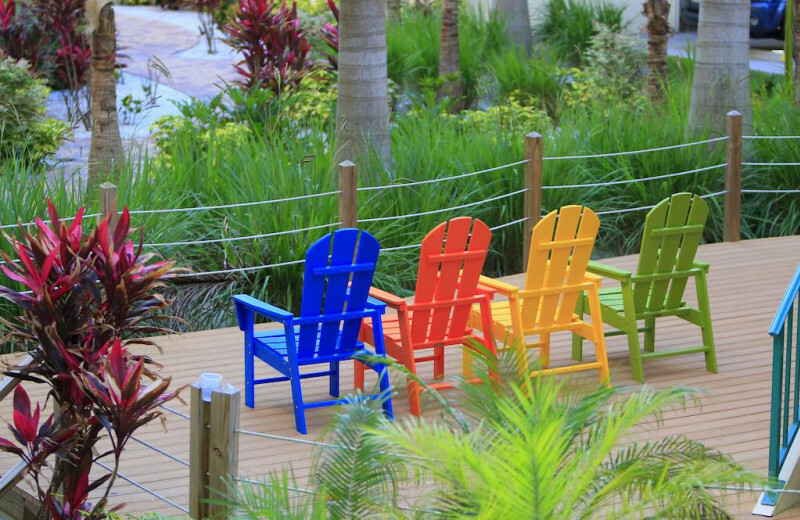 An inspiring beachfront setting is perfect for getting the team in the right frame of mind. 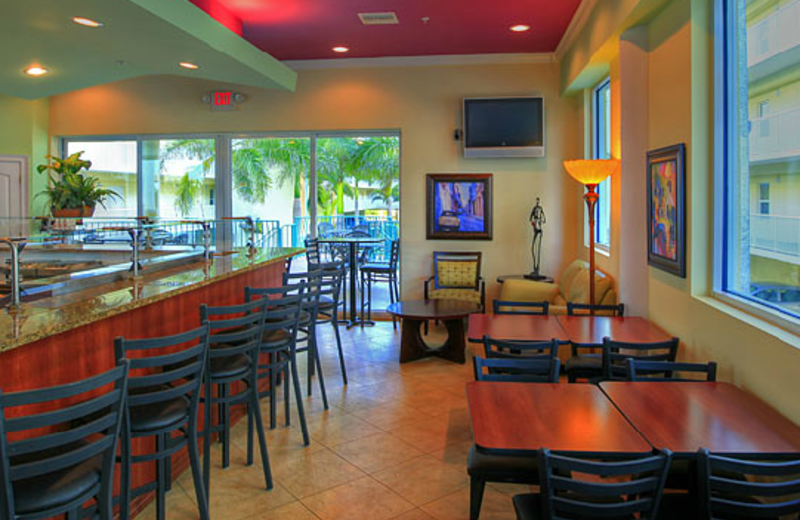 For your next business retreat, head to Sunset Vistas Beachfront Suites, located on the shores of St. Pete Beach. Their large outdoor deck is ideal for all types of business gatherings. 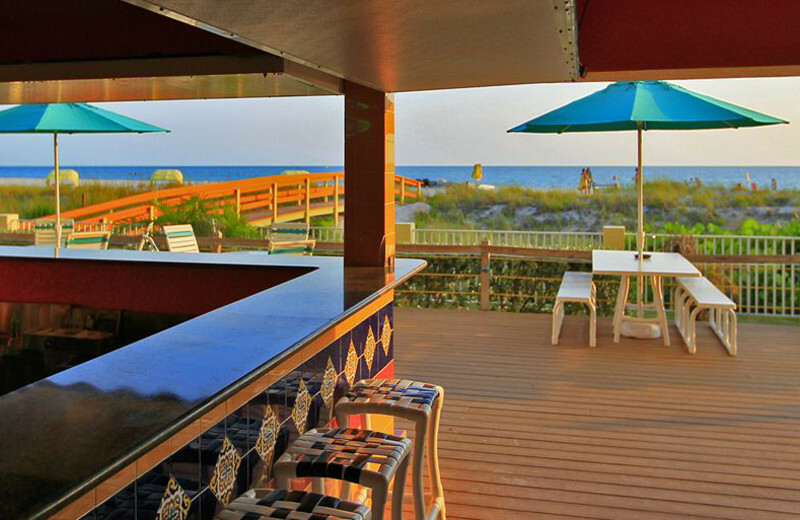 Host an upcoming event on the deck and let their banquet services team cater your function. 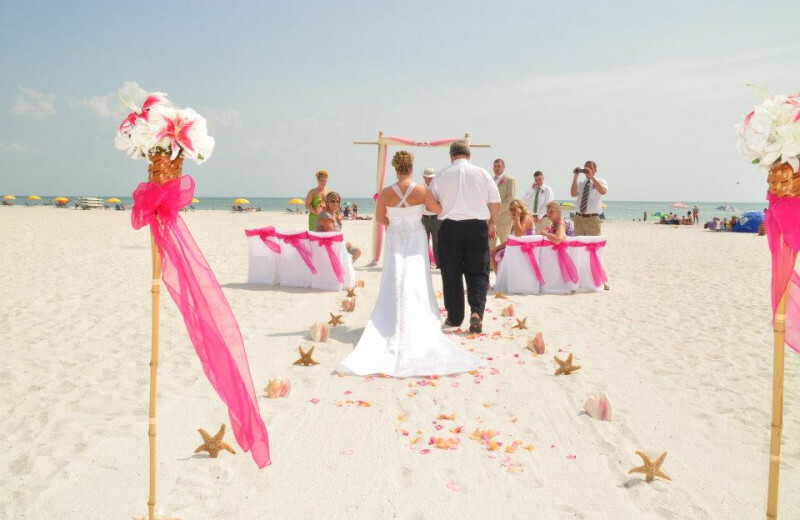 For your tropical beach wedding, there's nowhere better than Sunset Vistas Beachfront Suites Resort. They'll help create a breathtaking event on Treasure Island, over looking Florida's west coast. 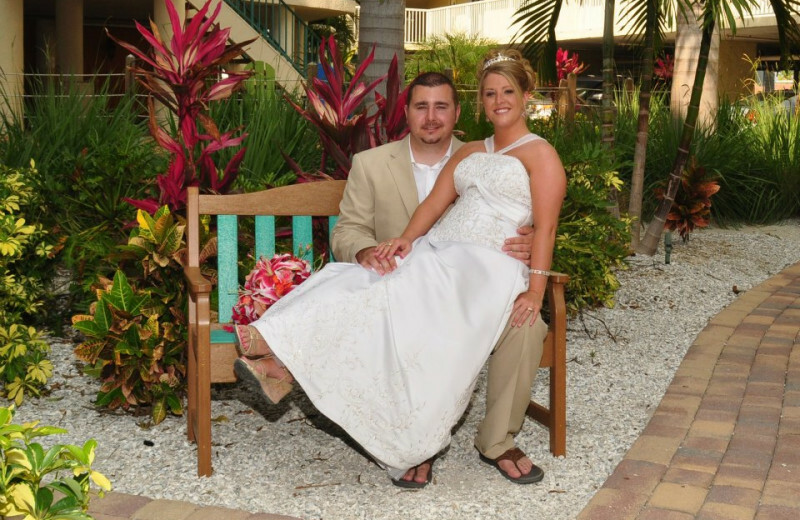 Their outdoor deck and beach can be transformed into a beautiful reception location! 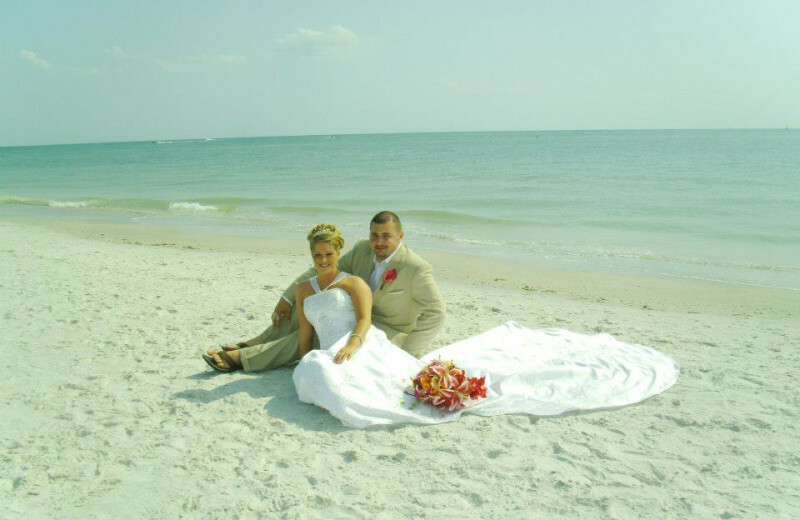 Let their professional staff make your dream wedding a reality! 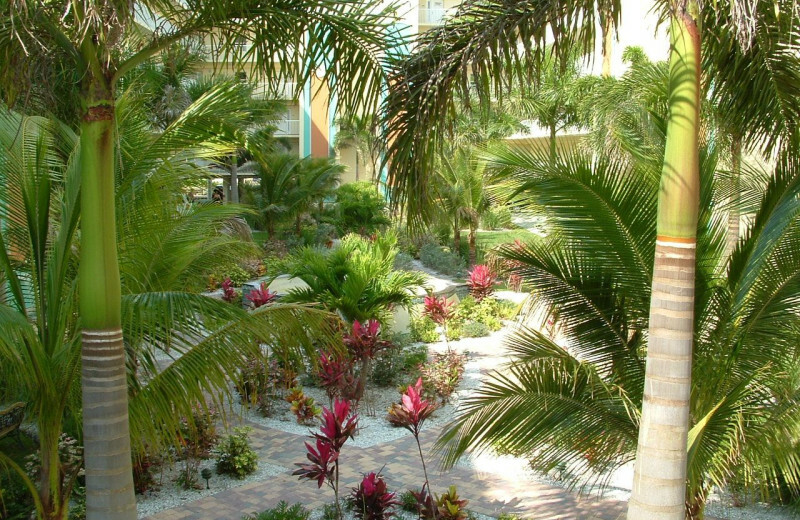 Located between the Gulf of Mexico and Boca Ciega Bay, you are never far from stunning natural beauty during your stay at Sunset Vistas Beachfront Suites. Reserve your spot on a dolphin watching excursion, or rent a canoe or kayak to explore these picturesque bodies of water at your own pace. 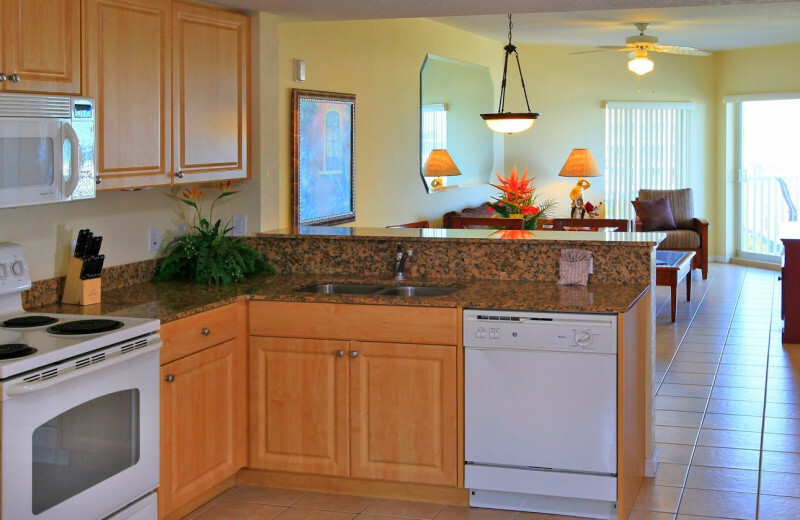 The natural elegance of the area makes this the ideal Florida getaway for you and your family! Imagine a beautiful white-sand beach, luxury suite with stunning ocean views and endless resort amenities amongst a tropical atmosphere. You'll get all this and more at Sunset Vistas Beachfront Suites! This incredible Treasure Island destination is perfect for reconnecting with your loved one; walk down the beaches at sunset, dine at unique restaurants in the area, and indulge in exciting activities such as surfing and diving. 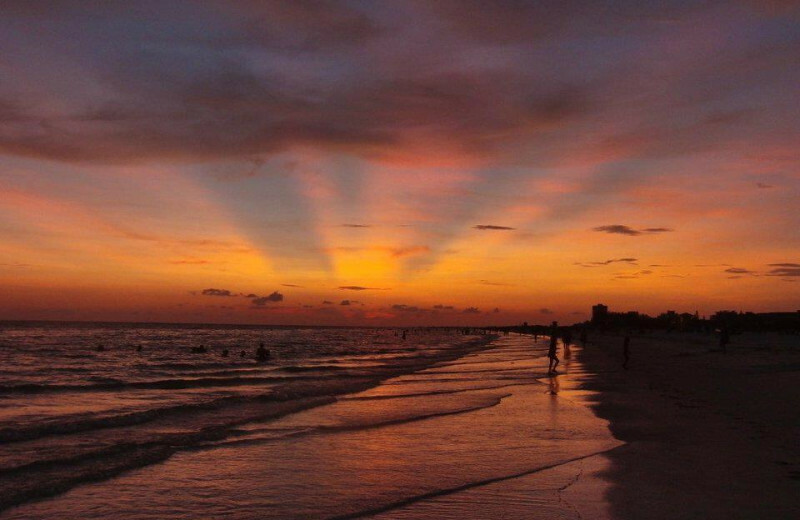 Come enjoy all that Florida has to offer right here on Treasure Island! 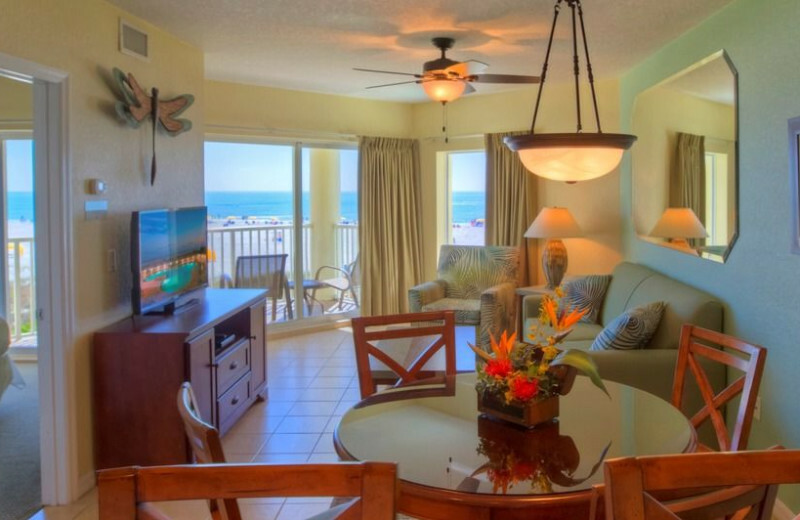 Sunset Vistas Beachfront Suites is your luxurious tropical escape on the Gulf of Mexico! 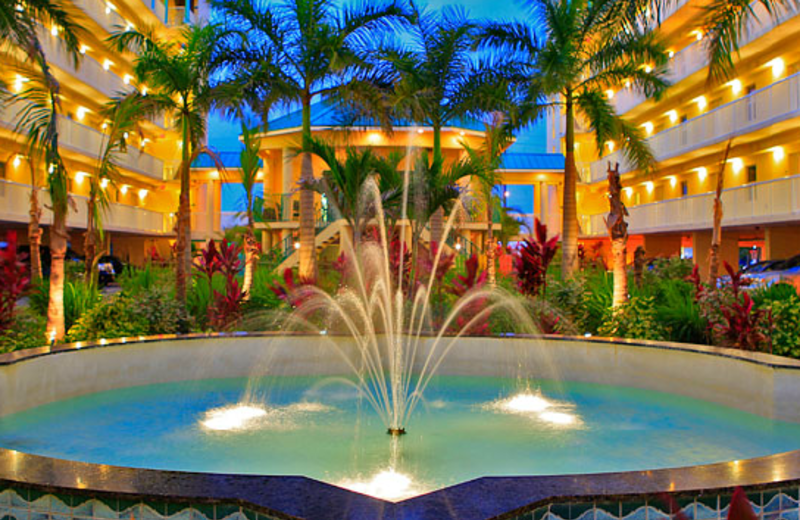 Here, you'll fall in love with their exquisite courtyard, delicious cafe, and large swimming pools. The beautiful atrium will be a constant reminder that you're on vacation with its grand views. 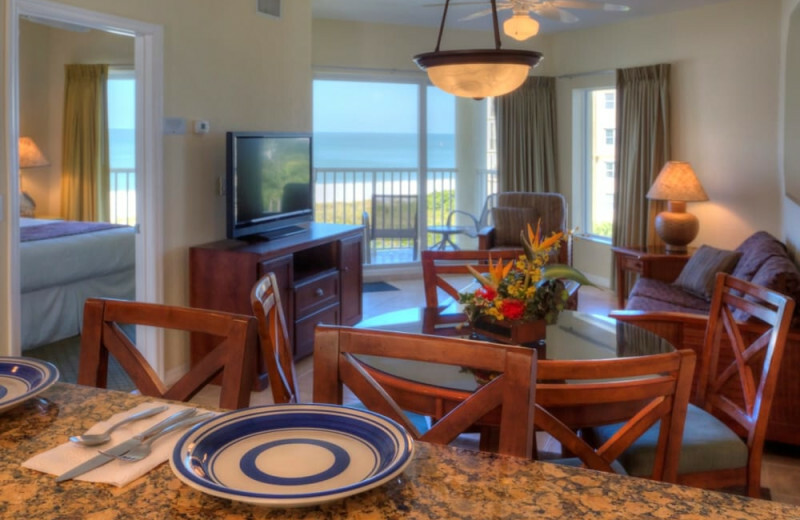 Stay in a lavish beachfront suite complete with kitchens and stunning views and enjoy a fun-filled Florida getaway! 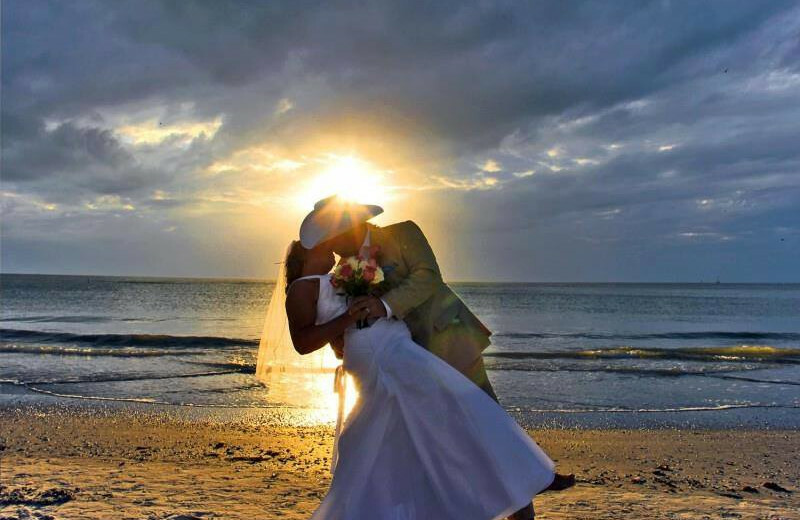 Celebrate your new life together at an unforgettable island retreat without having to leave the country. 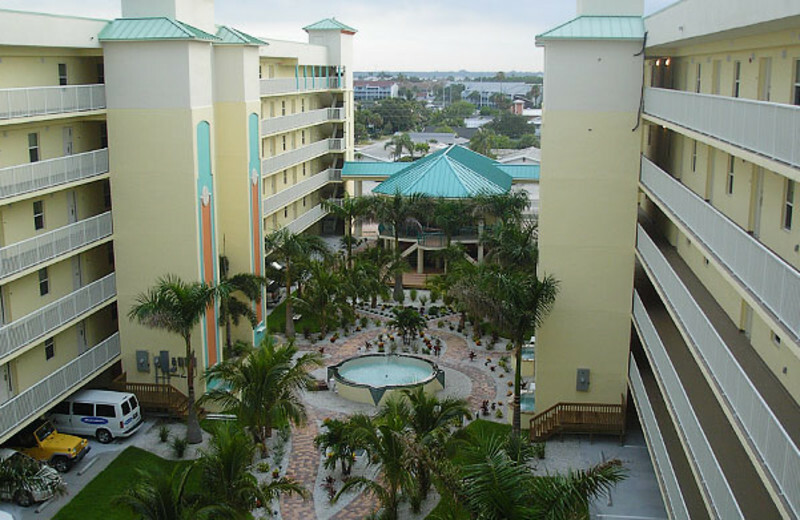 Sunset Vistas Beachfront Suites is located on the beautiful Treasure Island, right between Clearwater and St. Pete Beach! Here, you will find white-sand shores, magnificent ocean waves, and luxury accommodations that put you just minutes from all the action. Unwind on the beach together with your new spouse, grab a bite to eat at Sunset Vistas' Café, and enjoy plenty of activities such as parasailing and dolphin watching! It's everything you need for a romantic honeymoon! 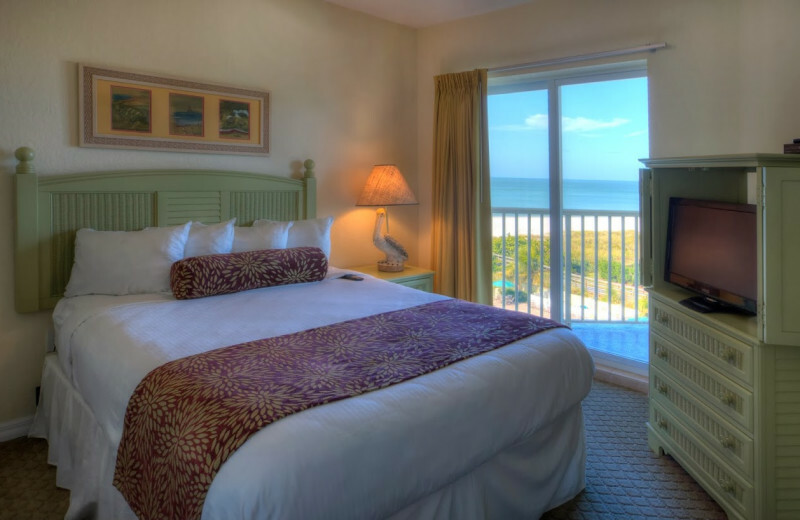 Beat the winter blues and head to Sunset Vistas Beachfront Suites in Florida for the perfect holiday vacation! Instead of shoveling your driveway and battling below freezing temperatures, treat yourself to a tropical Christmas or New Years! 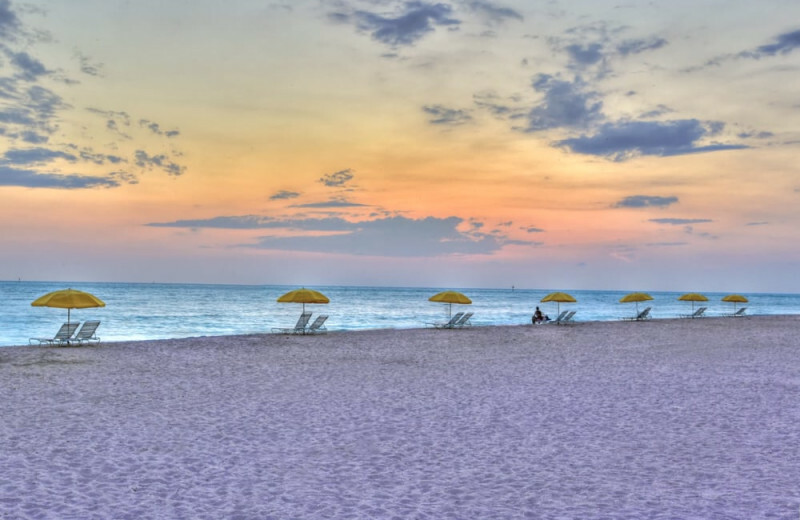 Located in the heart of the St. Petersburg-Clearwater beach communities, you'll find the finest in warm Florida sun, white powder sands, and stunning sunsets. Book your next vacation today. 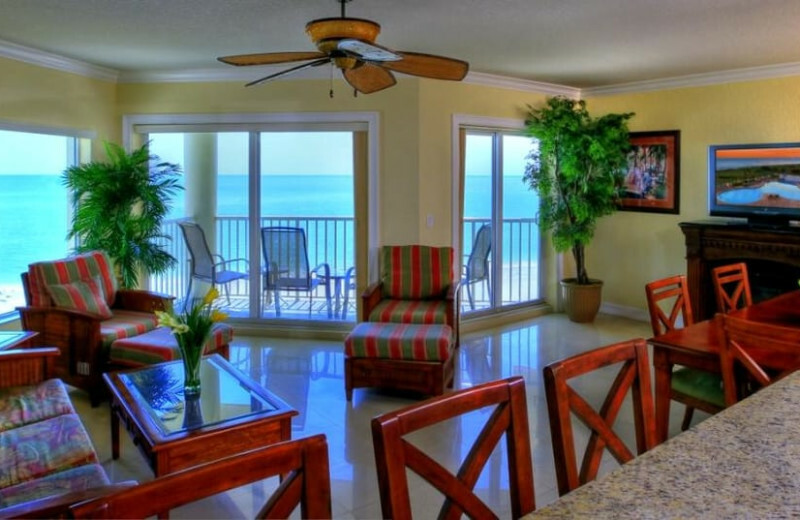 Set between the Clearwater and St. Pete Beach areas awaits a breathtaking island retreat unlike any other. 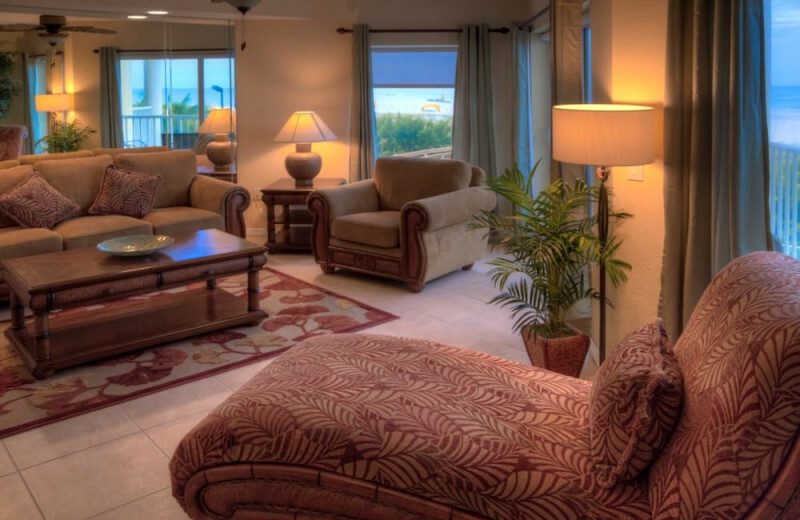 Treasure Island's Sunset Vistas Beachfront Suites is the perfect place for your Florida island vacation. Take in the refreshing air, the sunny beaches and the cool waves as you lounge on the sand or dive in for exciting Gulf of Mexico adventures. Your luxury condo from Sunset Vistas' awaits at the end of the day for you to relax as you catch the sunset over the water from your balcony! 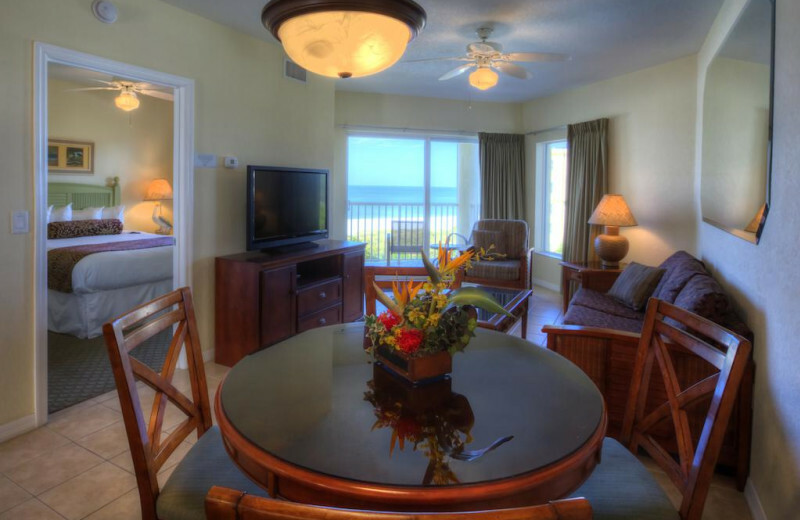 Guests at Sunset Vistas Beachfront Suites Resort have a hard time saying goodbye to their luxurious accommodations. This does not need to be an issue when you make the decision to become an owner at the resort. Plan an annual family getaway or two, and earn some extra cash when others use your vacation condo. For more information, inquire now! 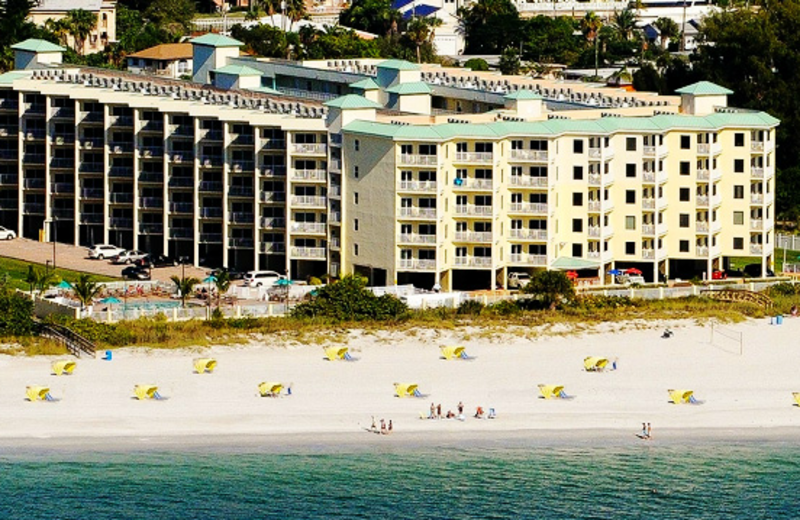 Sunset Vistas Beachfront Suites is an all-suite resort on the shores of the Gulf of Mexico. Their luxurious accommodations feature two and three-bedroom suites with a taste of island decor. 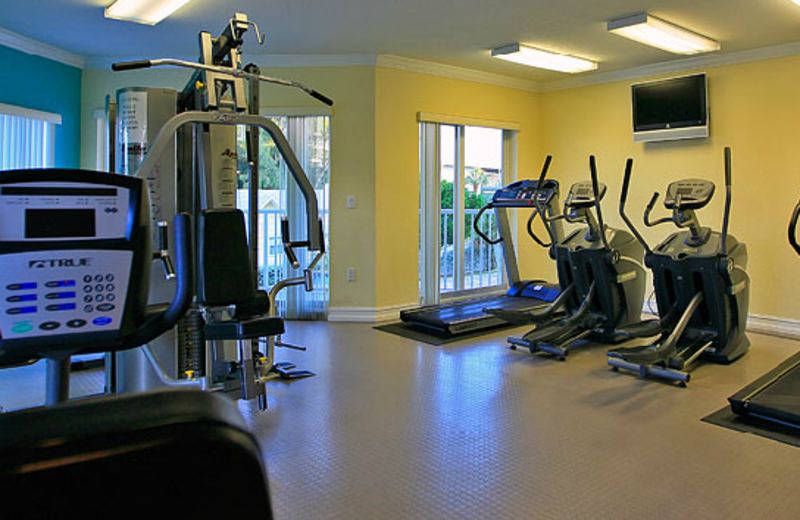 All suites offer a variety of amenities to make your stay stress free, such as full kitchens and washer/dryer units. 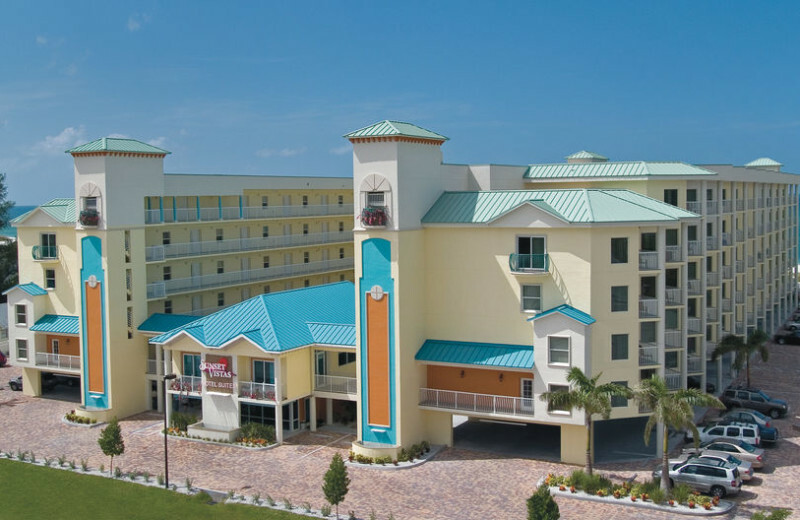 This property is ranked number 7 on Top Florida Romantic Getaways. Read about it here.